Is it history or prophecy? Is Matthew 24 history or prophecy? It is a crucial prophetic question. The passage clearly portrays a period of intense tribulation that will precede the Second Coming of Jesus. Has this terrible period of tribulation already occurred or is it yet to occur? Is it past or future? History or prophecy? The premillennialist viewpoint, both historic and modern, holds this passage to be predictive, yet-to-be-fulfilled sometime in the near future. According to the premillennial view, the return of Jesus will be immediately preceded by a period of great, worldwide tribulation that will particularly focus on the Jewish people. The majority viewpoint of Christendom, both Catholic and Protestant, is the amillennial view. As has been pointed out, this view spiritualizes Bible prophecy and concludes that there will be no future Tribulation or Millennium. Amillennialists argue, instead, that we are simultaneously experiencing both the Tribulation and the Millennium right now and have been doing so since the Cross. Although postmillennialists would argue that the millennium is still future, they would agree with the amillennialists that Matthew 24 was fulfilled in the First Century destruction of Jerusalem. They conclude, therefore, that there will be no future Tribulation. Matthew 24 thus emerges as a key prophetic passage. Those who spiritualize prophecy (amillennialists and postmillennialists) argue that it has been fulfilled in history and therefore reject the idea that it points to a period of severe tribulation immediately preceding the return of Jesus. Those who interpret prophecy more literally (premillennialists) contend that the passage awaits fulfillment. They therefore feel that it definitely points to a period of tribulation before the Lord returns. The interpretation given to Matthew 24 by amillennialists and postmillennialists is very interesting. It is also very inconsistent with the way they interpret other prophecies. Instead of spiritualizing it, like they do most prophetic passages, they accept it to be literal prophecy. But they argue that it is prophecy that was fulfilled 40 years after it was spoken when the Roman legions under Titus destroyed Jerusalem in 70 A.D. and scattered the Jews across the world. So, what about our central question? Is Matthew 24 history or prophecy? Is it past or future? Was it fulfilled in 70 A.D. or is it yet to occur? I believe Matthew 24 was prefilled in type in the destruction of Jerusalem in 70 A.D. and is therefore yet to be fulfilled in history. And I think I can prove that from the passage itself. We have no historical record of such an event taking place in 70 A.D. Unlike the Greek tyrant, Antiochus Epiphanes, who desecrated the Temple’s holy place in 168 B.C. by erecting within it an altar to Zeus, Titus took no such action in 70 A.D. before he destroyed the city and the Temple. These words were not fulfilled in 70 A.D. The persecution which the Jews experienced under Titus was severe, but it pales in comparison to what the Jews suffered during the Nazi Holocaust of World War II. 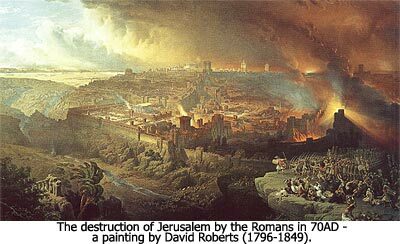 Josephus says the Romans killed a million Jews in the 70 A.D. siege of Jerusalem. Historians are convinced that this number is greatly exaggerated. But even if it is true, it is nothing compared to the six million Jews who perished at the hands of the Nazis. Furthermore, the prophet Zechariah tells us that during the end times a total of two-thirds of the Jewish people will die during a period of unparalleled calamity (Zechariah 13:8-9). In other words, there is a period of Jewish persecution yet to occur that will even exceed the horrors of the Nazi Holocaust. Consider verse 21 again: “for then there will be a great tribulation such as has not occurred since the beginning of the world until now, nor ever shall.” Did Jesus mean what He said or not? Surely this is not an example of hyperbole, of exaggeration to make a point. Everything in the passage fairly screams that we are to take Jesus’ words literally. The third piece of evidence is found in verse 22. Jesus says that the period of “great tribulation” (verse 21) that He is talking about will be so severe that all life will cease unless the period is cut short. You and I live in the only generation in history when these words could be literally fulfilled. There was no possibility in 70 A.D. that the siege of Jerusalem would lead to the extinction of all life. But that is a very real threat today due to the development and deployment of nuclear weapons. 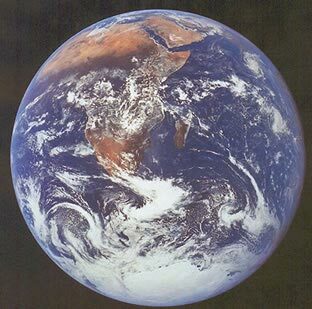 The best selling book of 1982, The Fate of the Earth, proved that if there is ever an all out nuclear exchange between the United States and Russia, all life on earth will cease to exist. The fourth clue that Matthew 24 is yet to be fulfilled is found in verse 29. It says the Lord will return “immediately after the tribulation of those days.” How can we escape the impact of the word “immediately”? I don’t think we can. It clearly ties the preceding events to the immediate time of Jesus’ return. As I have pointed out in the previous chapter, some amillennialists and postmillennialists have tried to deal with this problem in a fanciful way by claiming that the Second Coming of Jesus actually occurred in 70 A.D.! That, of course, is ludicrous, but it shows the extent to which some people will go to try to make Scripture conform to a particular doctrine. The final evidence that Matthew 24 was not fulfilled in 70 A.D. is to be found in verses 32-35, where Jesus says that all the things He has spoken of concerning the Tribulation will be fulfilled during the generation that sees the “fig tree” reblossom. Here is the key to the timing of the prophecy’s fulfillment. What is the “fig tree”? Think back for a moment to what had happened the day before. Jesus had put a curse on a barren fig tree (Matthew 21:18-19), causing it to wither. It was a prophetic sign that God would set the Jewish nation aside because of their spiritual barrenness — that is, their refusal to accept Jesus as their Messiah. The fig tree is a symbol of the nation of Israel (Hosea 9:10; Jeremiah 24:1-10; Joel 1:7; Luke 13:6-9). 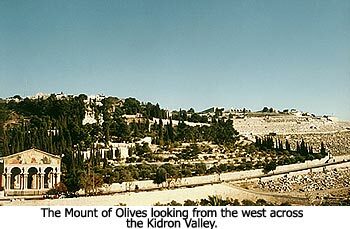 The setting aside of Israel occurred in 70 A.D. 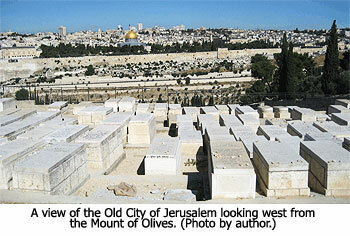 The reblossoming took place in 1948 when the nation of Israel was re-established. Matthew 24 is not history. The terrible events of 70 A.D. were a classic prefillment in type of the ultimate fulfillment that will occur immediately before the Lord returns. Matthew 24 is prophecy yet to be fulfilled. It is going to be fulfilled soon, for Israel has been regathered, the nation has been re-established, and the nations of the world are coming together against the Jewish state. The wrath of God is about to fall. We are on the threshold of the Great Tribulation. As you ponder this reality, are you ready for it? Have you received Jesus as your Lord and Savior? The Bible says that if you put your faith in Jesus, you need not fear the wrath of God, for “having now been justified by His blood, we shall be saved from the wrath of God through Him” (Romans 5:9).